Note: The Court amended its opinion to find a way to remand the case. See our coverage here. In June 2013, Jones was residing in a halfway house while serving the final few months of a 92-month sentence for unlawful gun possession when he broke the rules of the halfway house and was remanded to the custody of the Bureau of Prisons. When deputy U.S. Marshals attempted to take him into custody, Jones bit the finger of one of the Marshals. He was subsequently convicted of assaulting a federal officer in violation of 18 U.S.C. § 111. In preparation for sentencing, the probation officer calculated a base offense level of 15 for the assault but also determined that Jones was a career offender under the Career Offender Guideline based on two prior felony convictions in New York for first-degree robbery and second-degree assault. The career offender designation increased Jones’s offense level to 32. Falling in criminal history category VI, the calculated Guidelines range for Jones was 210 to 262 months imprisonment. Because the statutory maximum for Jones’s assault conviction was 20 years, the effective Guidelines range was 210 to 240 months. The district court adopted the findings in the pre-sentence report and sentenced Jones to a below-Guidelines sentence of 180 months in prison, to be followed by three years of supervised release. Jones appealed his sentence, arguing that it was substantively unreasonable and that he was incorrectly designated as a career offender because his prior New York robbery offense was not necessarily a “crime of violence” within the meaning of §§ 4B1.1(a) and 4B1.2(a) of the Career Offender provisions of the Sentencing Guidelines in light of the Supreme Court’s holding in Johnson v. United States, 559 U.S. 133 (2010) (Johnson I). In 2016, the Second Circuit ruled in Jones’s favor. United States v. Jones, 830 F.3d 142 (2d Cir. 2016). In connection with that appeal, the government had conceded that the residual clause of the Career Offender Guideline was void for vagueness in light of the Supreme Court’s decision in Johnson v. United States, 135 S. Ct. 2551 (2015) (Johnson II), which had held that identical language in the Armed Career Criminal Act was unconstitutionally vague. At the time of Jones’s appeal, the majority of federal courts of appeals that had addressed the issue had found that the residual clause of the Career Offender Guideline was unconstitutionally vague in light of Johnson II. And in January 2016, the U.S. Sentencing Commission amended the Guidelines to remove the residual clause from the Career Offender Guideline based on its belief that the clause was unconstitutional. Shortly after ruling in Jones favor, however, the Supreme Court granted cert in Beckles v. United States, 137 S. Ct. 886 (2017), in order to address the constitutionality of the Career Offender Guideline’s residual clause that was in effect at the time of Jones’s sentencing. As a result, the Second Circuit vacated its earlier decision granting Jones relief in order to await the Supreme Court’s decision in Beckles. See United States v. Jones, 838 F.3d 291 (2d Cir. 2016) (mem.). The Supreme Court ultimately held in Beckles that the Sentencing Guidelines, including the career offender provision, cannot be challenged as unconstitutionally vague because the Sentencing Guidelines are not mandatory, only advisory. See Beckles, 137 S. Ct. at 892. Beckles came as something of a surprise given that many defendants had been sentenced without application of the Career Offender Guideline based on the government’s concession that the provision did not apply in light of Johnson II. 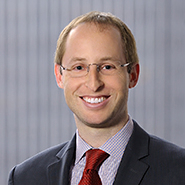 After Beckles, the Second Circuit invited supplemental briefing to address whether Jones’s conviction for first-degree robbery in New York categorically qualifies as a crime of violence under the previously codified residual clause of the Career Offender Guideline. This new decision followed. In its September 11 decision, the Second Circuit held that first-degree robbery in New York is categorically a crime of violence under the residual clause. First, the panel concluded that New York’s first-degree robbery statute is divisible, meaning that it lists elements in the alternative and thereby defines multiple crimes. 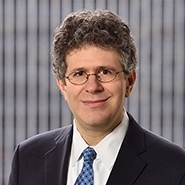 Because New York’s first-degree robbery statute is divisible, the Jones panel found that the “modified categorical approach” would ordinarily be used to determine whether the specific crime of conviction categorically qualifies as a crime of violence within the meaning of the Career Offender Guideline. A court applying the modified categorical approach would ordinarily peer into the record to see which of the multiple crimes in a divisible statute was implicated. However, in this case the panel was unable to do so because neither party produced the relevant record. Accordingly, the panel was forced to look to “the least of [the] acts” proscribed by New York’s first-degree robbery statute in order to see if it qualifies as a predicate offense for the career offender enhancement. The panel and Jones agreed that the act of “forcibly stealing property” while “armed with a deadly weapon” was the “least of the acts” proscribed by New York’s statute. The Jones court held that this was “[p]lainly” a crime of violence within the meaning of the then-applicable Career Offender Guideline’s residual clause, which provided that a crime of violence includes any offense that “involves conduct that presents a serious potential risk of physical injury to another.” This appeared to be an easy determination for the panel—it noted that the commentary to the Guidelines that was in effect at the time of Jones’s sentencing specifically listed robbery as a crime of violence and it found that New York’s definition of robbery necessarily fell within the scope of generic robbery as set forth in that commentary. After concluding that Jones qualified as a career offender under the then-applicable Guidelines, the panel determined that his 180-month sentence was also not substantively unreasonable. The panel noted that this sentence was “considerably below the Guidelines range” and highlighted the various justifications articulated by the district court in support of the sentence, including his lengthy criminal history and his history of misconduct while incarcerated. Accordingly, the sentence was affirmed. Judge Calabresi wrote a separate concurrence and noted that the panel opinion reflected an outcome that was “mandated by the law.” Nevertheless, he wrote that the result appeared to be “highly unjust, and little short of absurd.” Judge Hall also joined this concurring opinion in full. Both judges also joined in Judge Walker’s majority opinion. One can infer from the alignment of the panel that Judge Walker may not have shared the view of Judges Calabresi and Hall that the sentence was unjust. In his concurrence, Judge Calabresi highlighted some mitigating factors related to Jones and the crime. He noted, for example, that Jones had an I.Q. that qualified as “mentally deficient” and was below the generally accepted range for “intellectual disability.” He also noted the relatively minor nature of the assault on the deputy U.S. Marshall, who stated that he suffered no loss and sought no damages in connection with the biting of his finger. Judge Calabresi also noted the significant impact that the career offender designation had on Jones’s advisory sentence. Absent that designation, the Guidelines range for Jones would have been 36 to 48 months instead of 210 to 240 months. Judge Calabresi expressed uncertainty regarding the reasoning underlying the sentence that the district court imposed. He noted that the 15-year sentence may have been imposed based on the district court’s view of Jones’s prior criminal history and dangerousness, as the district court indicated at sentencing. However, he also speculated that the district court may have imposed a lower sentence had the Guidelines range been lower, reasoning that the district court may have believed that the below-Guidelines sentence it imposed was could not reasonably stray any further from the advisory range. This is logical: sentencing does not end with the Guidelines, but it does begin with the Guidelines. Judge Calabresi ultimately expressed frustration because he believed there was no procedural mechanism—akin to Fed. R. Civ. P. 60(b)—in a criminal case for an appellate court to ask the district court to reconsider its original sentence in light of the legal developments that occurred after the original sentencing. Consistent with Judge Calabresi’s observations, the Jones decision is likely to have minimal effect on the Second Circuit’s sentencing jurisprudence. As the panel noted, the Career Offender Guideline’s residual clause was removed from the Guidelines as of August 1, 2016, so the panel’s holding that first-degree robbery under New York law constitutes a crime of violence under the now-defunct clause is unlikely to impact many outstanding appeals, if any. Judge Calabresi’s concurrence raises some interesting questions however, particularly in light of its conclusion that a sentence that purportedly was both “unjust” and “absurd” was not also substantively unreasonable. Judges Calabresi and Hall were both troubled by Jones’s sentence and appeared to want the district court to reconsider its sentencing decision; however, they were unwilling to conclude that the original sentence was unsupportable as a matter of law given other considerations such as Jones’s lengthy criminal history. The concurrence appears to reflect a high level of deference to the district court’s sentencing decision despite the apparent unjust result. Indeed, while listing some mitigating factors such as Jones’s I.Q. and the circumstances of his crime, the concurrence does not engage in any substantive analysis regarding the reasonableness of the sentence. This deference may be a bit surprising under the circumstances, especially in light of the some of the Second Circuit’s more recent decisions reversing within-the-range sentences as substantively unreasonable. See, e.g., United States v. Burghardt, No. 16-949(L) (reversing 322-month sentence that was neither procedurally nor substantively unreasonable, to permit “further consideration”); United States v. Sawyer, No. 15-2776 (reversing by summary order a 30-year within-the-range sentence as substantively unreasonable); United States v. Jenkens, No. 14-4295 (reversing 18-year within-the-range sentence as substantively unreasonable). It is possible that Judge Calabresi felt that deference was warranted since Jones’s sentence was already substantially below the applicable Guidelines range. After all, it is the rare case where a sentence that varies significantly below the Guidelines range is determined to be unreasonably high. It is also possible that Judge Calabresi felt deference was owed to the district court’s sentencing decision given his prior ruling in the seminal Second Circuit post-Booker decision of United States v. Cavera, 550 F.3d 180, 193 (2d Cir. 2008) (en banc) (“When all is said and done though, once we are sure that the sentence resulted from the reasoned exercise of discretion, we must defer heavily to the expertise of district judges.”). Under New York law, first-degree robbery occurs when a defendant commits robbery and during the course of the crime or his immediate flight either “(1) [c]auses serious physical injury to any person who is not a participant in the crime; or (2) [i]s armed with a deadly weapon; or (3) [u]ses or threatens the immediate use of a dangerous instrument; or (4) [d]isplays what appears to be a . . . firearm.” N.Y. Penal Law § 160.15.